1 edition of Alexander Schmorell found in the catalog. Add another edition? Are you sure you want to remove Alexander Schmorell from your list? Published March 1, 2017 by Holy Trinity Publications . At the height of World War II, a small band of students in Munich, Germany, formed a clandestine organization called the White Rose, which exposed the Nazi regime's murderous atrocities and called for its overthrow. In its first anti-Nazi tract, the group wrote, "...Nothing is so unworthy of a civilized nation as allowing itself to be ‘governed' without opposition by an irresponsible clique that has yielded to base instinct..." The students risked everything to struggle against a world that had lost its moorings. Early in 1943 key members of the group were discovered and executed. Among those put to death was Alexander Schmorell, a young man of Russian birth whose family came to Germany when he was a small boy. 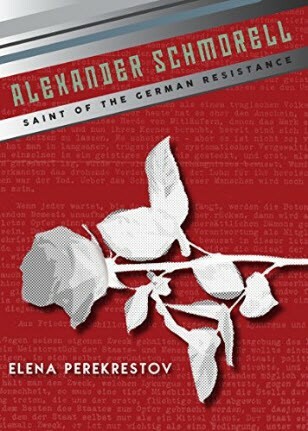 This biography eloquently recounts the journey of an energetic and talented young man who loved life but who, deeply inspired by his Orthodox Christian faith, was willing to sacrifice it as a testimony to his faith in God that had taught him to love beauty and freedom, both of which the Nazis sought to destroy. In 2012, the Russian Orthodox Church officially recognized him as a martyr and saint. The story of Alexander's life and death is made available to English readers here for the first time, vividly illustrated with black and white photographs. 14. When? Where? How? With Whom? 17. Do Not Forget God! April 4, 2017 Edited by Todays Martyrs Reviewer Edited without comment. April 4, 2017 Created by Todays Martyrs Reviewer Added new book.